Bristol’s Passenger Shed was taken over by a horde of artists & creatives for the weekend of 26-29 July 2018. All there to see The Saatchi Other Art Fair. I happened to wander that way with my daughter, niece, and nephew, the latter of whom was obsessed with going on a train ride after watching Paddington 2. I did what any self-respecting Auntie would do and took him on a little train ride from Montpelier to Temple Meads. Once at Temple Meads we had around an hour to kill before our return journey, so followed the crowds to the Passenger Shed. Entry was free for children under 16, and £6 for adults, with free return all weekend. There was more to see than just the art on sale and display. The Saatchi art lounge hosted a number of talks and speeches; the Street Art vs Street Photography themed postcard secret auction; the Arctic 360 virtual reality tour; Molly Fairhurst’s free portraits of visitors; and the award winning Pinkmans bakery selling amazing cakes and bakes. 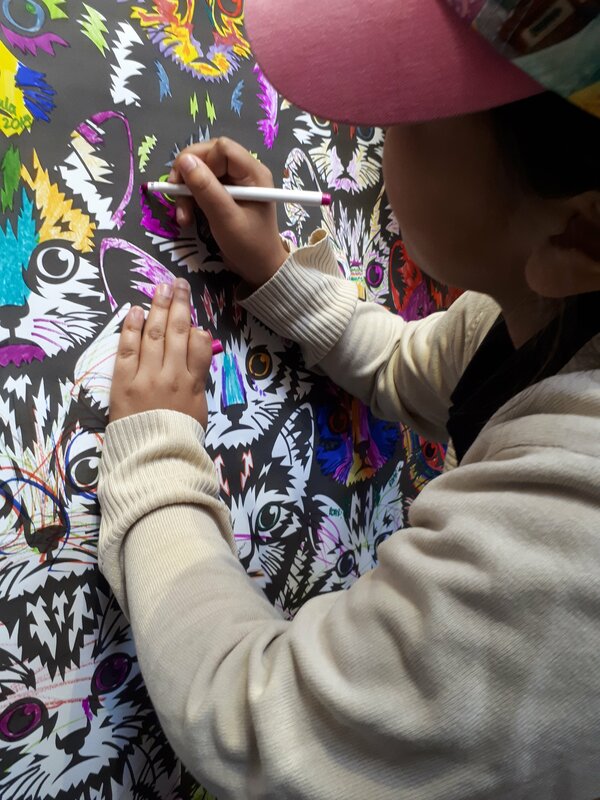 The kids loved the Kitten colouring wall by Tim Andrew. 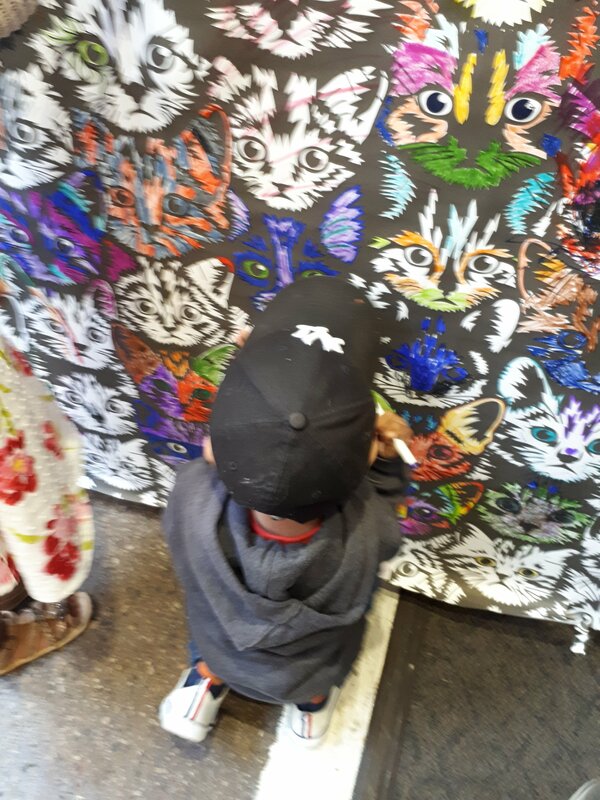 Cute kitties, lots of colouring pens and permission to draw on the walls. What more could a kid (or adult) want? Another favourite with my kiddie bunch was the sneak preview of the Magalump musical. 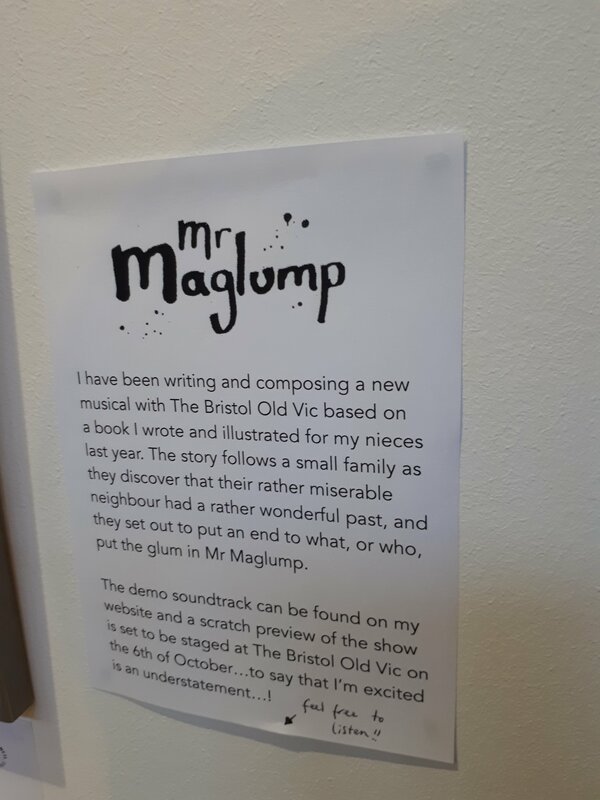 This is a new musical to be shown at The Bristol Old Vic in the Autumn and the children were enchanted with the preview they heard. I’ve signed up for early bird ticket info already! 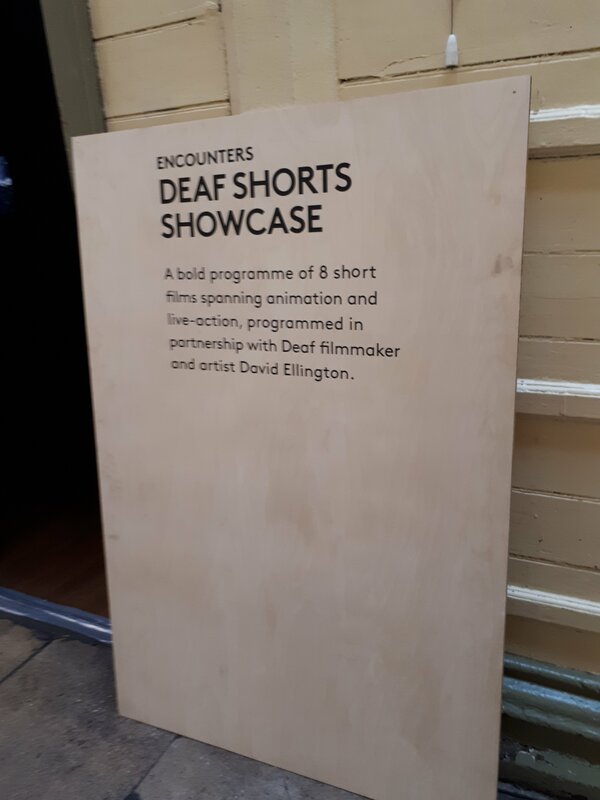 The Deaf Encounters showcase comprised 8 shorts, both animation and live-action, created by Deaf filmmaker and artist David Ellington. As we were only visiting for a short time, I was unable to see these but would love to follow up and see them at some point. Visitors could get involved with creating art as well. As well as the kitten wall, there was the Spike Print Studio community wall hanging. 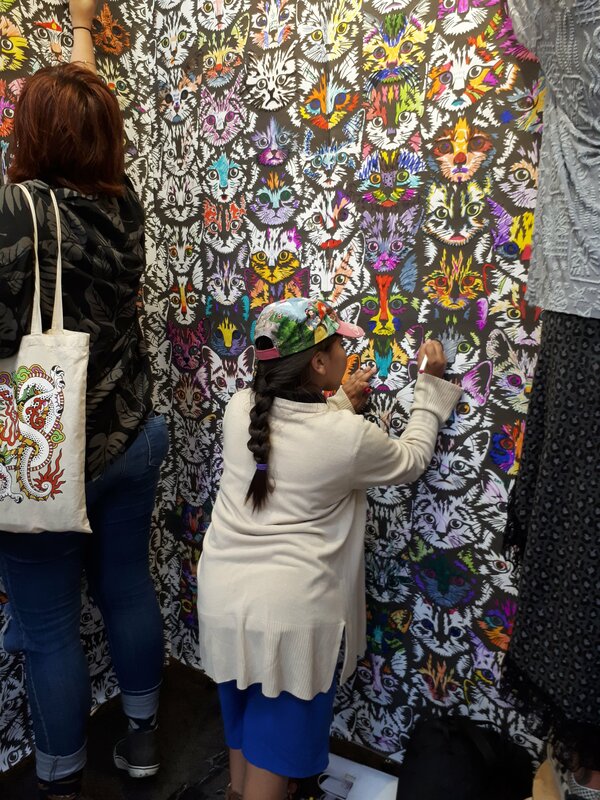 Justyna Medon’s “roll it – print it” session gave visitors the opportunity to print or use rollers to create their own patches to be added to a huge community wall hanging. It was a lovely way to spend an hour waiting for the train, and I wish Ii had the time to go back the next day to spend longer exploring everything. It did however, spark the interest in art in my daughter and niece and nephew. I’ll definitely be visiting next year with both of my children. 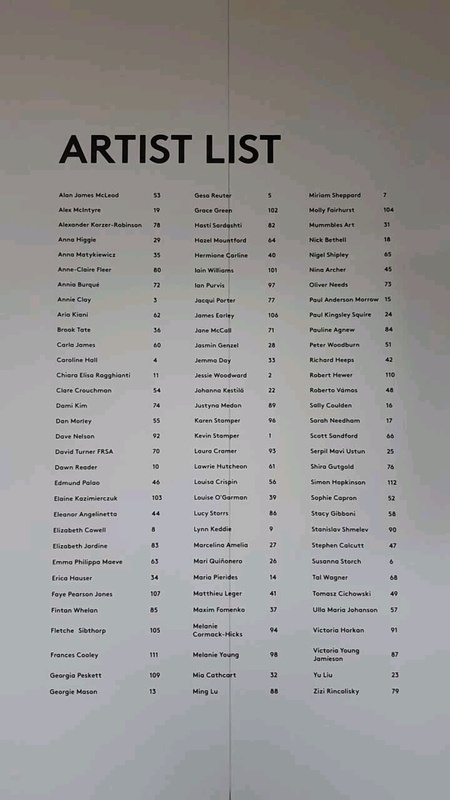 Leave a reply on "Art for all: The Other Art Fair, presented by Saatchi"